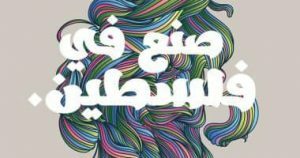 Palestine Music Expo (PMX) is an annual event that takes place in Ramallah and this year for one day in Jerusalem in cooperation with Yabous , National Conservatory of Music and Shafaq. It’s about providing Palestinian artists the opportunities and equipping them with the skills to build a music industry. It’s about mentoring and showing that the music industry is not only about musicians and fans, but it’s about agents, record labels, copyright law, royalty arrangements, the digital community, social media, communications, logistics, night-time economies, the hotel industry and so on. Each year, PMX showcase both established and upcoming Palestinian artists to local audiences and key members of the international music industry. These include record companies, booking agencies, music supervisors, festivals promoters and Media. In addition to the music showcases over the three days, PMX also organizes specialist panel discussions where local artists can learn from and interact with internationally renowned experts on everything from how to get an agent, to copyright law, and starting a record label. PMX also takes international delegates on tours of refugee camps in Ramallah and Nablus, where they met local musicians and heard about their lives.